The parent company of UT Bank has been sued after it took a ¢ 51m loan from its subsidiary but has refused to pay. Plaintiff, Pricewater House Coopers which was appointed a receiver of the failed bank said the suit became necessary after the defendant said until court orders so, the money will not be paid. UT Holdings has at least six subsidiaries presided over by celebrated entrepreneur, Kofi Amoabeng. His other subsidiary, UT bank, collapsed in August 2017 after the central bank said it had persistent liquidity challenges. UT Logistics which is also a subsidiary of the parent company, has also been named as second defendant to the suit filed at the Commercial Division of the Accra High Court. UT Logistics, according to the statement of claim, took a ¢ 9.31m and has refused to pay. The loans among the subsidiaries are a classic example of how the activities of shareholders and directors in some collapsed banks, okayed loans to companies they owned or were related to. In the case of defunct Capital Bank, shareholders and directors gave out loans to themselves and related companies leading to serious financial loss and an outstanding payment of more than ¢ 784m. In the case of UT Holdings, the company, apart from the ¢ 51.3m also took another $8.6m from UT Bank and has also defaulted in payment. The two defendants are to pay the monies with interest if the orders requested by the receiver are granted by the court. 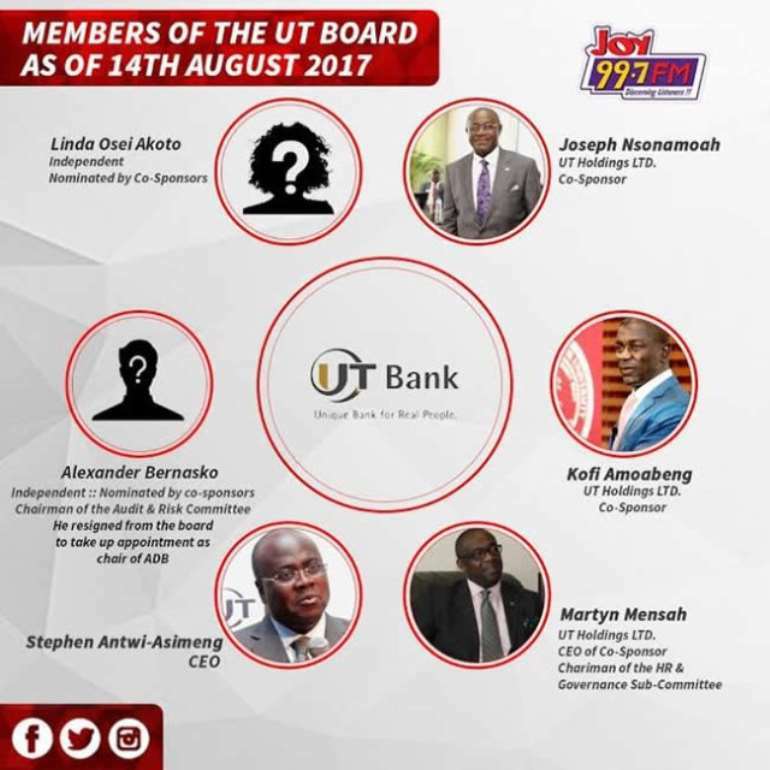 The former Managing Director of UT Bank Kofi Amoabeng has admitted his outfit lost its vision which partly led to the collapse of the UT Bank. 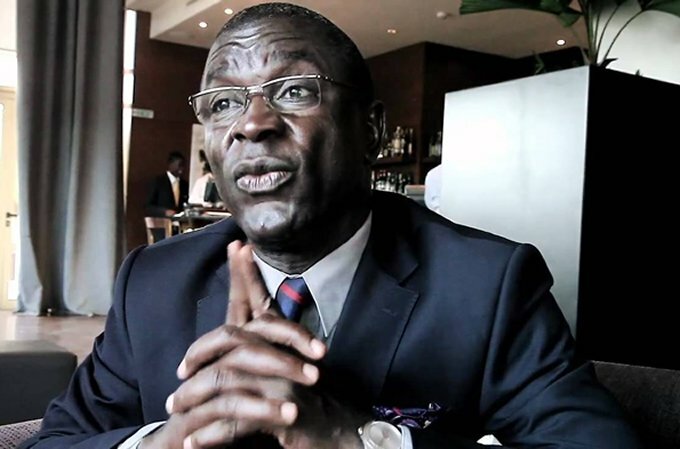 Prince Kofi Amoabeng in a foreword to a book written by Samuel Otchere, a former UT Bank staff also blamed what he describes as “diverse cultures from different banks” for the challenges that led to the Bank’s collapse. UT Bank collapsed along with Capital Bank. Shareholders and directors of both banks were described by the central bank as engaging in wilful deceit. A year after the 2017 collapse, five more local banks bit the dust in August 2018.